This is hilarious. 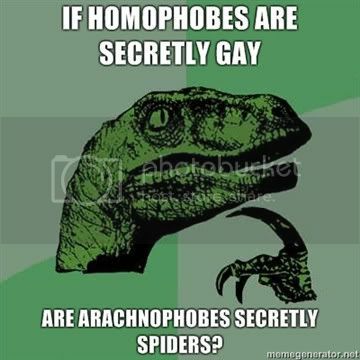 Maybe they are secretly spiders. On second thought, I don't really know whether homophobes are defined differently or not so maybe it doesn't make any difference at all.